For the last 17 years the Environment Agency has used lasers to map and scan the English landscape from above to help us carry out work such as flood modelling and tracking changing coastal habitats. This month, for the first time, we are making our LIDAR (Light Detection and Ranging) data available for everyone to use for free. The aim is to help organisations, businesses, and individuals to do everything from manage forests, discover hidden archaeological features, and even create virtual reality worlds for gaming. All 11 terabytes of our LIDAR data (that’s roughly equivalent to 2,750,000 MP3 songs) will eventually be available through our new Open LIDAR portal under an Open Government Licence, allowing it to be used for any purpose. We hope that by giving free access to our data businesses and local communities will develop innovative solutions to benefit the environment, grow our thriving rural economy, and boost our world-leading food and farming industry. The possibilities are endless and we hope that making LIDAR data open will be a catalyst for new ideas and innovation. 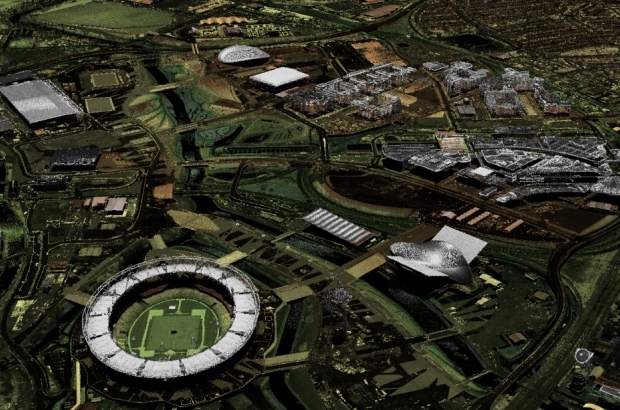 The Environment Agency Geomatics LIDAR portal has been supplying composite data for the last six years but, with technology moving on and the insatiable appetite for data growing, this was reaching the end of its life. To replace it we had to develop a new way of delivering the data which was completely self service and able to deliver more data to a wider range of people. Behind the scenes we have been working hard on this new service not only to make as much of the data available as rapidly as possible but also to ensure that our system was robust. At 11 terabytes, the total size of our LIDAR datasets made this quite a logistical and technological challenge and, coupled with working to a tight timescale, this has meant rolling out the data in stages. Composite LIDAR data, which is annually updated and brings together all data from the last 17 years, has already been released. Composite data is available at 25cm, 50cm, 1m, and 2m resolutions, which in total covers over 72% of England. The next data to be released will be Tiled LIDAR, which comes from individual dated surveys offering a ‘snapshot’ of locations at specific times. This will be followed by different data formats in the coming months and finally point cloud data. Our new portal is still a work in progress, and we’re interested in your feedback to see where it is possible to tweak our systems and improve the experience both for existing customers and those who are new to our open data offering. This release comes as part of our wider Open Data plans, and as part of #OpenDefra, in which we are a key part of helping to unlock 8000 datasets across the Defra network. Defra is changing as an organisation; and this is how we will do business in the future. Archaeology: Archaeologists are some of the biggest users of the Environment Agency’s LIDAR data: it enables them to map and visualise ancient landscapes and discover subterranean features. For example, our surveys are helping to find Bronze Age burial mounds in Monmouthshire and Roman roads in Cheshire. Computer games: Minecraft players have requested our LIDAR data to help them build virtual worlds: the data could be useful to anyone creating realistic 3D worlds. Walking apps: We provide LIDAR data to orienteers who use it to create slope maps. This could potentially be used to create new walking apps. Civil engineering: A variety of transport, energy, and utility companies use our data to help them manage their infrastructure and plan engineering projects. Forestry: Our data help bodies such as the Forestry Commission map forests as well as count and measure the height of trees so they can manage woodlands more efficiently. Vineyards: LIDAR data can even help to plan where is the best place for wine makers to plant vines. You can find further updates through our Twitter or Facebook or contact us at opendata@environment-agency.gov.uk if you have any feedback or suggestions. Cool that other countries are also embracing the open data policy for such data sets!! "This will be followed by different data formats in the coming months and finally point cloud data." Doesn't seem to be working for me - I just get a map that I can zoom in on. Searching by post-code does not seem to work. Zooming and clicking brings up a green grid with a reference #. but you can;t do anything from there - nothing to download. Yay, one more! It is an exciting time for open data policies! Spain has also opened an almost complete LiDAR scan of the territory, I posted a coverage map and some selected samples of the data here: http://wechoosethemoon.es/2015/09/05/lidar-espana-3D/ if anyone is interested. Nice viewer! We've done flood modelling with the AHN2 (open height map Netherlands) for urban environments at Groningen University. https://www.youtube.com/watch?v=IcKaDjr6eEA Based on several open data sets. Would love to do a project in the UK and share our knowledge on water (disaster risk) management! Also looking into pattern recognition for archeological discoveries. Much potential!! Excellent news - but the link provided above 'data available', http://environment.data.gov.uk/ds/survey#/ , gives a "not available" message. Hi Mike, The link seems to be working fine when we select it. Have you tried opening it in a different browser ? Hi, can any body suggest the best application to view the downloaded data on please? Can you recommend any software for visualising and interpreting downloaded images? So far my area of interest is only available at 2m resolution and I wonder if alternative viewing options might enhance landscape features for archaeology. Many thanks! Hi, thanks for contacting us. 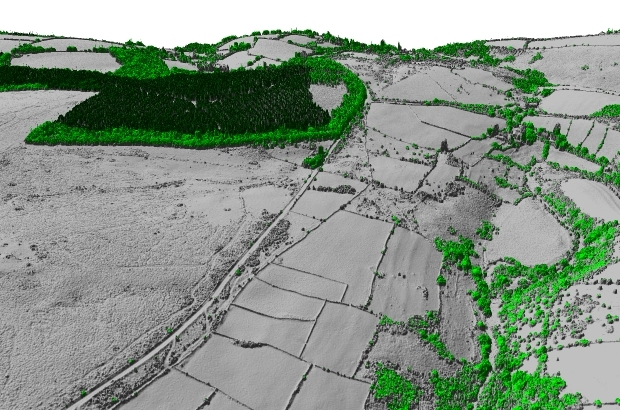 For more information on our LIDAR data and how to open it please download the FAQ, which can be found on the LIDAR download page at http://environment.data.gov.uk/ds/survey#/download. This includes a link to a list of open source GIS tools. Hello Angela. Have a look at QGIS. It is open source GIS. I am currently conducting a study on the Iron Age hillforts of the Welsh Marches and I would like to obtain some Lidar scans. I have tried a number of different GIS applications and I haven't managed to do it yet. I am not teccy at all so I've followed the FAQs mentioned above and I've wasted nearly a day trying and still haven't managed to do it. Is there an idiots guide anywhere? I can't agree anymore than what I just read. Thanks again.